The Swiss federal budget is governed by a strict expenditure rule, which is enshrined in the Constitution. 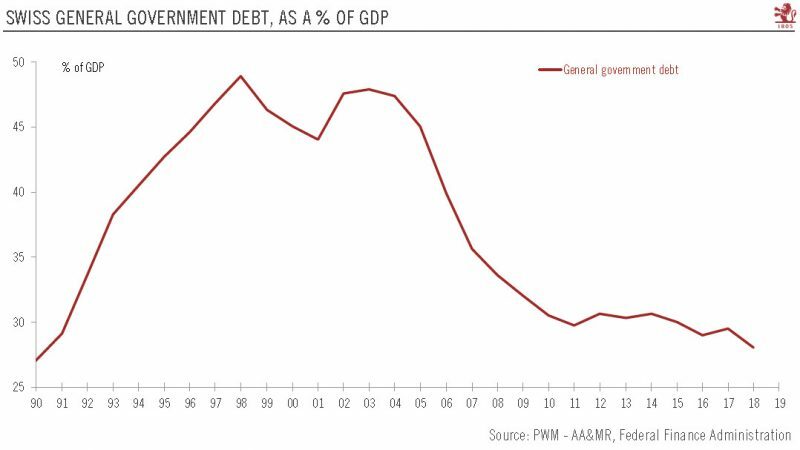 Since its introduction, the ratio of public debt-to-GDP has been significantly reduced, falling back to its early-90’s level. At the close of 2018, the Swiss federal budget registered a significant surplus of CHF 2.9 billion, compared with budget projections for a surplus of CHF 295 million. 15.04.2019 - The Producer and Import Price Index increased in March 2019 by 0.3% compared with the previous month, reaching 102.2 points (December 2015 = 100). The rise is due in particular to higher prices for petroleum products. Compared with March 2018, the price level of the whole range of domestic and imported products fell by 0.2%. Growth and price rises should moderate in 2019.The Swiss economy posted impressive GDP growth in 2018, although there was significant divergence between strong growth in the first half and stagnation in the second. 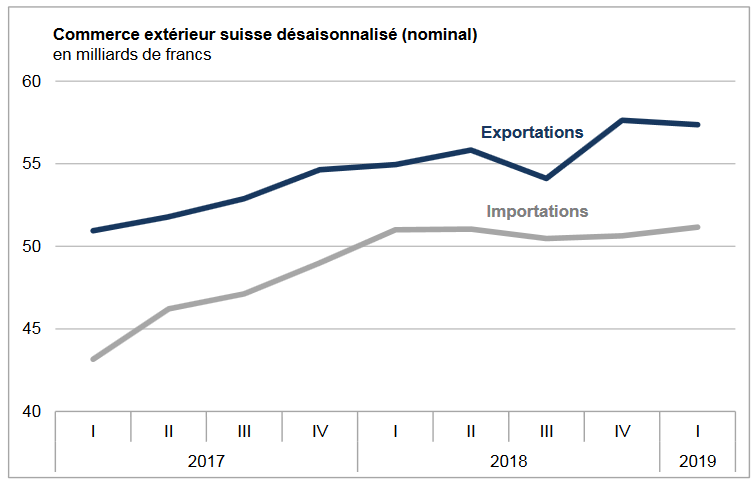 Overall, we expect Swiss GDP to expand by 1.3% in 2019, down substantially from 2.5% in 2018. 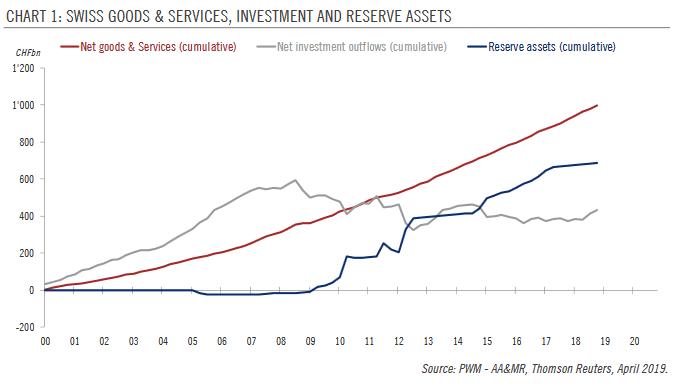 Risks to our growth outlook for Switzerland are tilted to the downside. 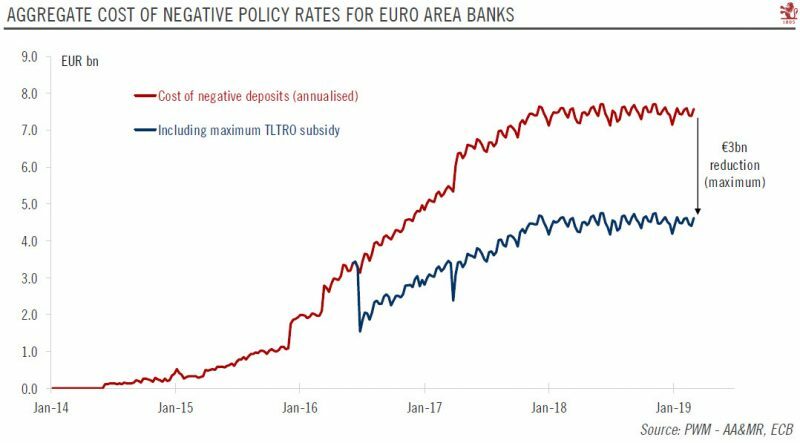 ECB officials have hinted at policy measures aimed at reducing the cost of negative rates for the banking sector, including a tiered system of bank reserves.Although back in 2016 the European Central Bank (ECB) ruled out tiering of bank reserves to mitigate the side effects of negative rates, the situation has since changed, and it could be implemented eventually if policy rates were to remain negative into 2020. 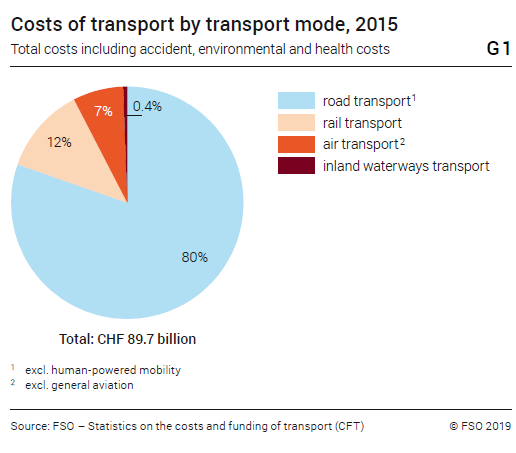 In 2015, transport in Switzerland generated economic costs of around CHF 90 billion. This was 4% more than in 2010. Aviation (+14%) and rail transport (+12%) recorded the largest increases. In comparison, costs for motorised road transport remained rather stable (+2%) and accounted for four fifths of the total transport costs. None of the various transport user groups fully funded the generated costs themselves. 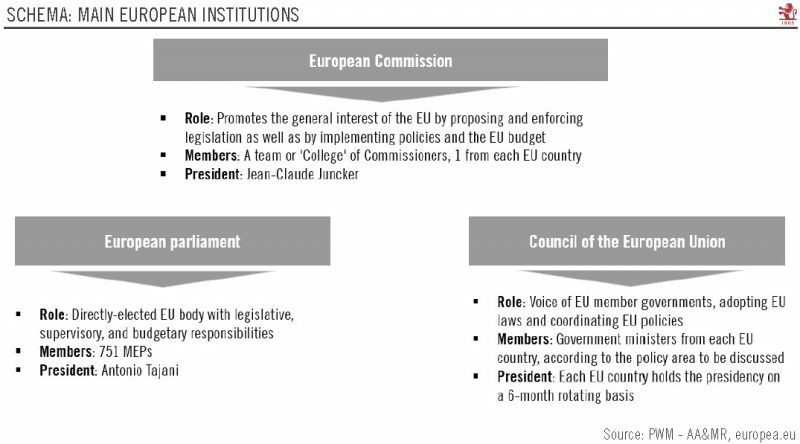 European Parliament elections, to be held between 23 and 26 of May, will be a key political event in Europe. However, we expect limited short-term impact, given the European Parliament's limited ability to set Brussels' agenda.European Parliament (EP) elections will be a key political event in Europe, a form of ‘midterm election’ in which the electorates can state their approval or disapproval of their respective national governments. 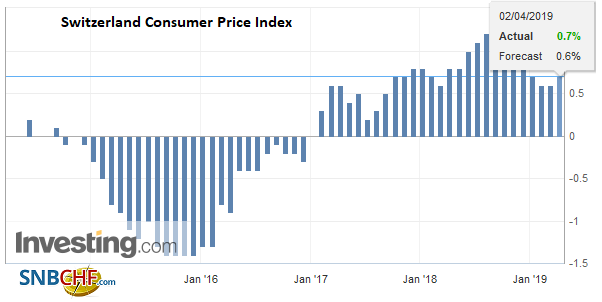 The consumer price index (CPI) increased by 0.5% in March 2019 compared with the previous month, reaching 102.2 points (December 2015 = 100). Inflation was 0.7% compared with the same month of the previous year. These are the results of the Federal Statistical Office (FSO). Turnover in the retail sector fell by 0.2% in nominal terms in February 2019 compared with the previous year. Seasonally adjusted, nominal turnover rose by 0.2% compared with the previous month. These are provisional findings from the Federal Statistical Office (FSO). 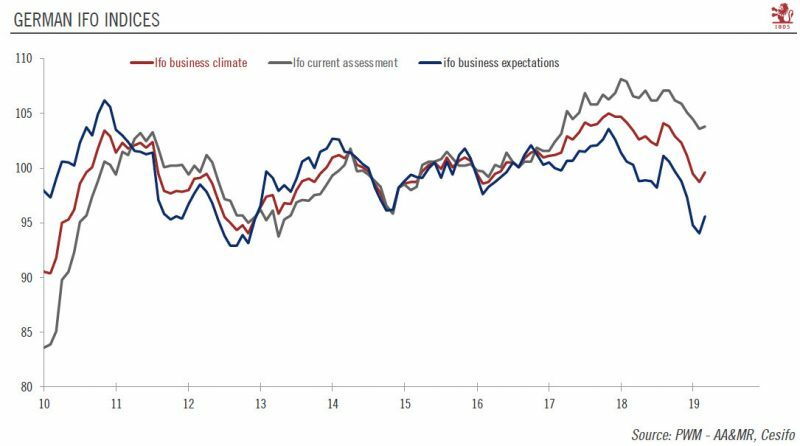 German growth may remain subdued in H1 2019, before picking up somewhat in H2 2019 as some near-term risks dissipate.Germany’s leading indicator, the Ifo index, rose in March, driven by an increase in both sub-components: current assessment and expectations. 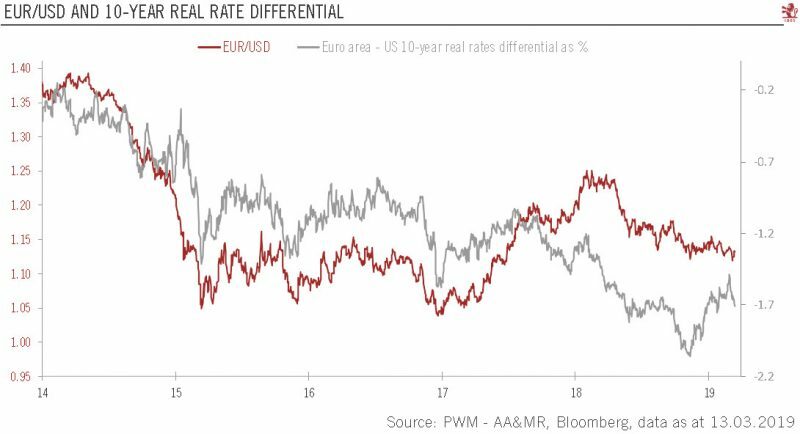 The euro has declined further against the dollar but should strengthen over next 12 monthsThe euro fell to a 20-month low against the US dollar following the European Central Bank’s (ECB) March policy meeting, given the revised forward guidance that suggests that the interest rate differential is unlikely to provide much upside to the euro in the next few months. 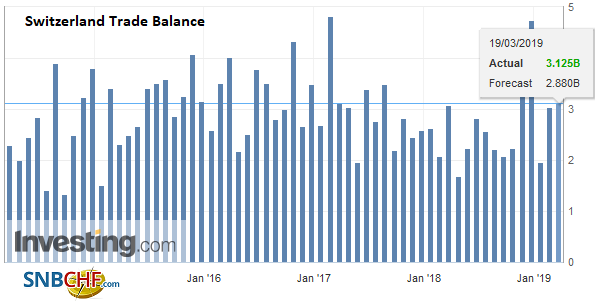 The Producer and Import Price Index increased in February 2019 by 0.2% compared with the previous month, reaching 101.9 points (December 2015 = 100). The rise is due in particular to higher prices for petroleum products. Compared with February 2018, the price level of the whole range of domestic and imported products fell by 0.7%. These are some of the findings from the Federal Statistical Office (FSO). 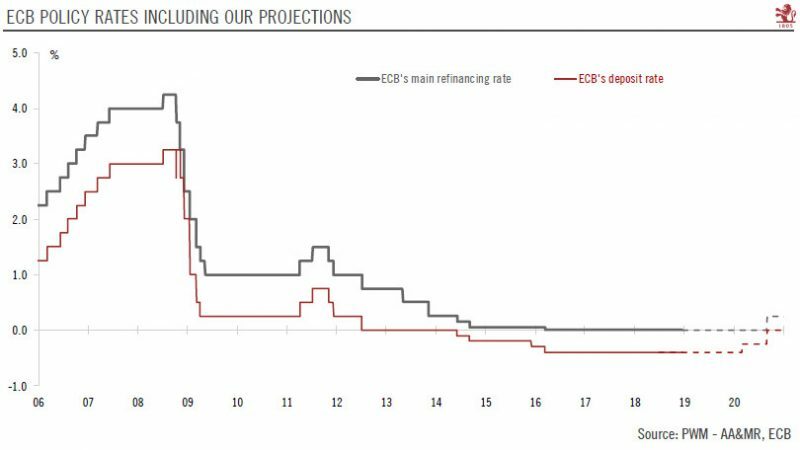 Last week, the European Central Bank (ECB) announced a new long-term refinancing package for banks (called TLTRO-III) and made clear that interest rates would not be raised this year. While these measures were expected, they have come earlier than we thought. 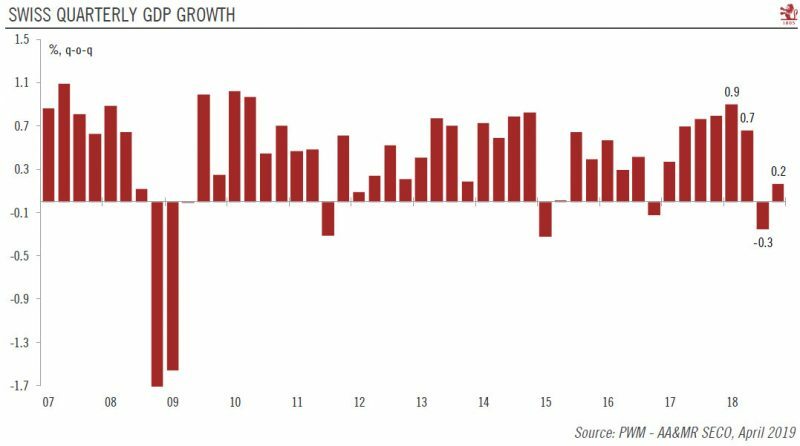 Germany’s economy weakened significantly in the second half of 2018. 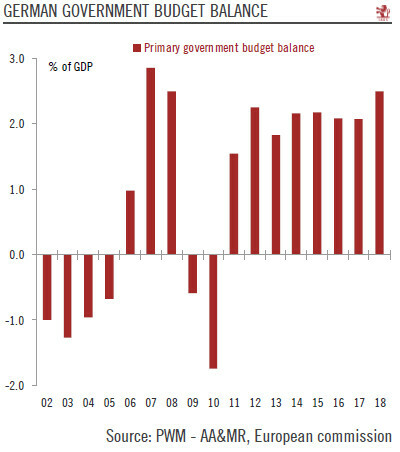 External headwinds remain strong and, in an environment where monetary-policy ammunition remains limited, all eyes have shifted towards German fiscal policy, especially as the country has generated significant budget surpluses since 2011. 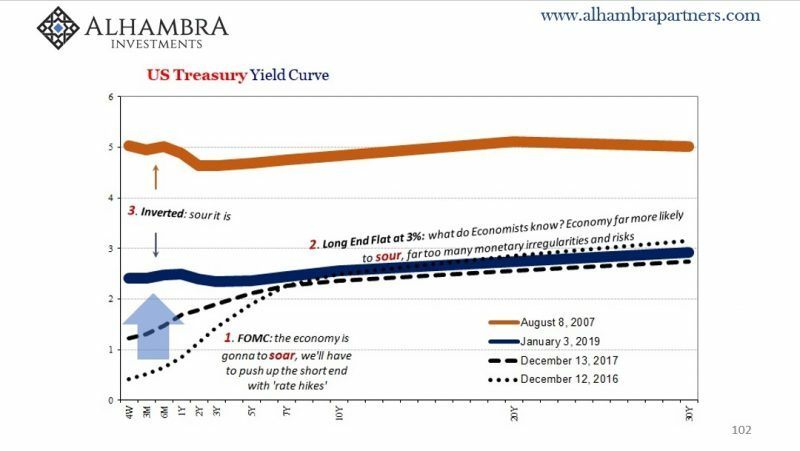 You know things have really changed when Economists start revising their statements more than the data. What’s going on in the global economy has quickly reached a critical stage. 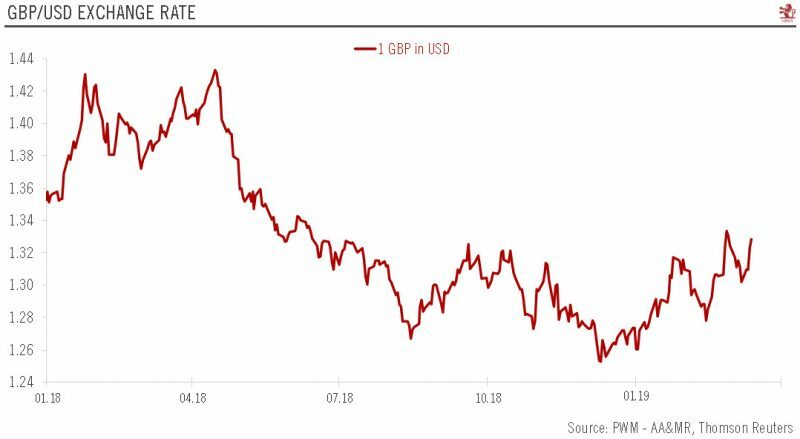 This represents a big shift in expectations, a really big one, especially in the mainstream where the words “strong” and “boom” couldn’t have been used any more than they were. Europe at an Important Juncture. 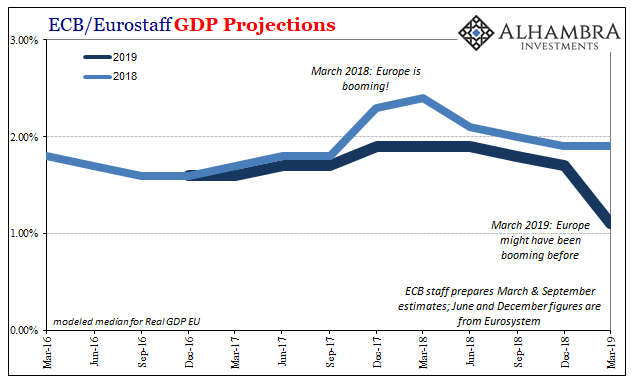 European economic fundamentals have deteriorated rather noticeably over the past year – essentially ever since the German DAX Index topped out in January 2018. 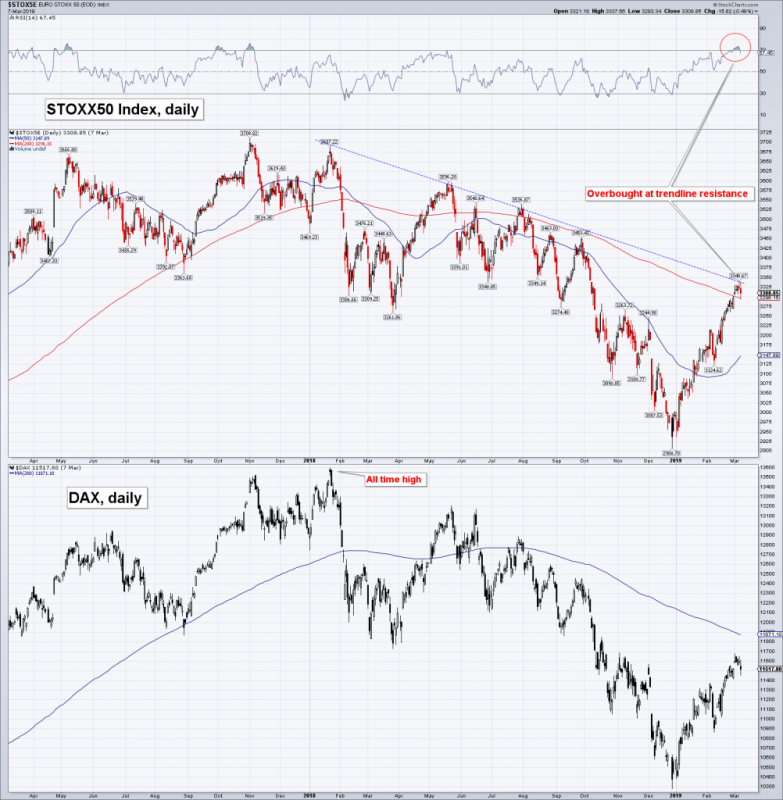 Now, European stock markets have reached an important juncture from a technical perspective.